This is not a script for a movie but when his epitaph is written, Michael Munhumumwe, Thomas Makore, Thomas Tapfumaneyi and Thomas Chikawa, will refer to Thomas Mapfumo. They will all refer to the man known by his legion of Chimurenga Music fans as Mukanya, a sobriquet derived from his totem, underlined by the baboon. Go to the registrar general's office today and look for the name Thomas Mapfumo and you will not find Mukanya's. You will probably find someone else, but definitely not the musician. The name on his national identity documents is Thomas Chikawa but, again, that is not his biological surname. It is a confusing puzzle. Who is Chikawa? Who is Tapfumaneyi? Who is Mapfumo? Who is Munhumumwe? Who is Makore? How did Mukanya get involved with all these identities? Well, it took the man himself to unpack the mystery on Wednesday night. In a conversation that lasted about two hours at his aunt's house in Waterfalls, Mukanya revealed many secrets of his life, including the puzzling identity. 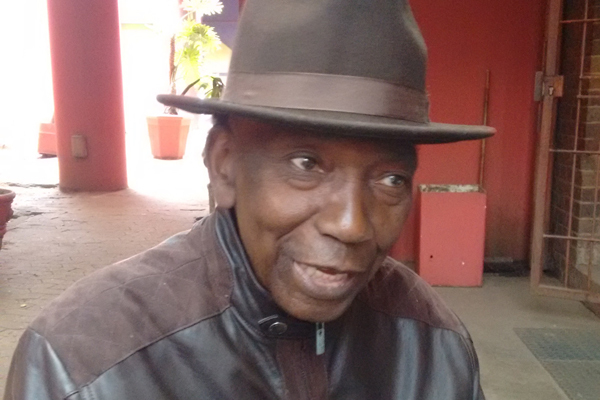 Who is Mapfumo's real father? "I lived with my grandparents from my mother's side for some years of my childhood in Chihota. I did not know my father. My mother got married to Mapfumo, but I was then known as Michael Munhumumwe. I was using my mother's surname," said Mukanya. He, interestingly, noted that Munhumumwe was not his mother's real father. Like him, she had grown up with a step-father, but he had to inherit his mother's adopted surname Munhumumwe, as the stepfather who had taken care of his mother. When it was time to get a national identity card, Mukanya had to change his name. His uncle (maternal grandmother's brother) took him to Marondera to get the document. "I went to the district office with my uncle Chiwara. He was my grandmother's brother. He used his name to facilitate the processing of my ID. That is how I became Thomas Chiwara. I have not changed the name since then. It is the name that is in national records," said Mukanya. Mukanya lived with his stepfather Mapfumo and his mother and most people knew him as Thomas Mapfumo. It was the name that became popular in the neighbourhood and among relatives. He had to use that name when he started music in the early '70s. However, at the age of 17 Mukanya decided to look for his biological father. "I enquired about his whereabouts around farms in the Beatrice area. One day I made a journey to the farm with my friend from the band Cosmic Four Dots. That was the group I worked with that time. We went to the farm on bicycles. I used my mother's bicycle for that trip. "We found his wife at home and she told us he would come for lunch. We waited for him and he arrived, as expected, driving the farm tractor. I introduced myself and he was so touched. He actually cried." From that day, Mukanya kept in touch with his father and visited him regularly until his death in 1973. But the musician did not attend his father's funeral. "I was based in Mhangura when he died. I only got information about his death some days after his burial. He was buried at his rural home in Guruve. I did not immediately visit the rural area to see my father's grave. "However, unfortunate things began happening in my life and I had to go for traditional consultations. I was told that I was supposed to go to my father's rural home and unite with my relatives." Mukanya made his first trip to Guruve to see his paternal relatives. It was also his first time to see his father's grave. Since then, he has kept in touch with his relatives in Guruve and visits them every time he comes home from his United States base. To honour his father, he has given his son the name Tapfumaneyi. He has also made his father's totem, Mukanya, a moniker that goes with his music. Lessons Mukanya got from stepfather Mukanya is full of praise for his stepfather. He says he is happy to be known as Thomas Mapfumo because the name honours a man who took care of him when his real father abandoned him. "My stepfather Mapfumo was a man with serious direction in life. He feared God and made sure that we lived a Christian life. Although I now follow the African traditional religion, I have a way of revering God that I learnt from VaMapfumo," said Mukanya. "My mother and my stepfather clicked well. They taught us the good ways of life. As children, we were required to religiously attend Sunday school. We went to church every Sunday. It was the day we would drink tea after church. It was a rule that anyone who failed to attend Sunday school without a good reason would not drink tea. Because no one wanted to miss tea, it became inspiration to go to Sunday school and the teachings helped us as we grew up." As the music life made him popular in the streets of Mbare where he lived and pursued his art, the Chimurenga musician decided to get married. He met a girl of Malawian origin who was called Emily. They stayed together for some time and were blessed with a daughter called Charity. After a few years they broke up and Charity went away with her mother. "Charity and her mother are both late, but my daughter left children and grandchildren that live in the country. My grandchildren now have their families and I am now a great grandfather. They visit me when I come home." After separating with Emily, Mukanya got a second wife named Elizabeth. She lived in Epworth before their marriage. Elizabeth had two daughters with the musician - Janet and Charmaine - before the marriage also collapsed. "We had two daughters that are now based in the United Kingdom. Their mother recently returned from England. She had gone to see them. She is based here. Our daughters are doing well. Janet has a white husband and she is a designer. Charmaine works in a bank and she is not yet married." When Mukanya's marriage to Elizabeth ended, he married his current wife Vena. Vena grew up in Bulawayo, but she is originally from Mutare. She gave Mukanya his first and only son. They named him Tapfumaneyi after his grandfather (the musician's biological father). After Tapfumaneyi came two daughters Chiedza and Matinyaya. Mukanya moved with his whole family to the United States. Tapfumaneyi followed his father's footsteps in music, but chose to pursue hip-hop because of American influence. He also runs a car sales company. He is married to an Afro-American woman and they have two kids. "I bought the house for about $9 million (Zim dollars) in the late 90s. It was a beautiful house and my family has good memories of the place. When we left for the United States, we assigned someone to look after it. ''However, when we realised that he was not taking good care of it, we decided to sell the house and invest in a new business," he said. He was later to buy a plot in Domboshava where he has built a small homestead. As news of his disgraceful exit from his lodgings spread, the Harare City Council intervened and availed a residential stand for Mukanya in Glen Lorne. He also managed to negotiate for another piece of land in Domboshava where he wants to build and arts centre. It is inescapable that Mukanya's lyrical content, his fiery temper, music artistry and anger was all carved from this broken past. Given his history, one would forgive him and feel that it was really a struggle to get to where he is today. But pointers are there that he has fallen on hard times.